The Torino Sling Collection fuses the legendary styling and architectural heritage of Torino, Italy, with artisan-inspired craftsmanship. 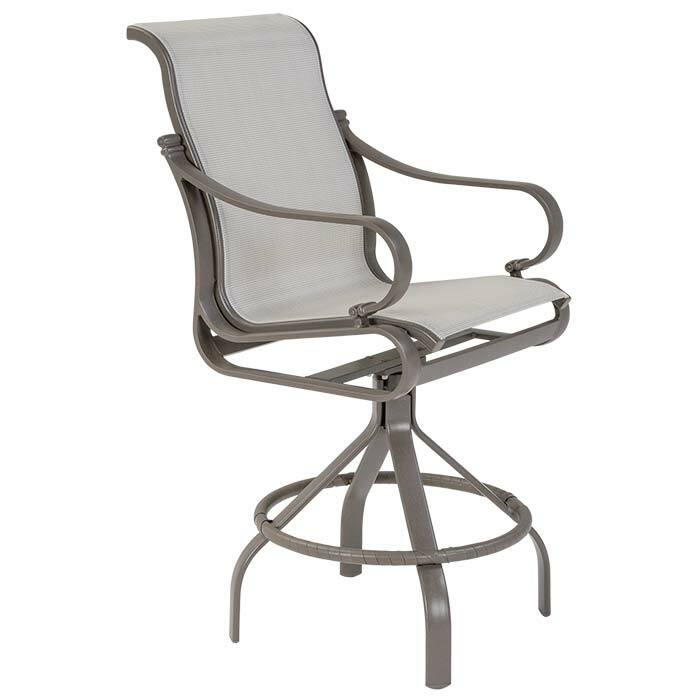 This outdoor bar stool is meticulously crafted with vinyl-coated polyester fabric slung across the seat and back frame and made of sturdy powder-coated aluminum. The Torino Sling Swivel Bar Stool is sure to welcome guests.